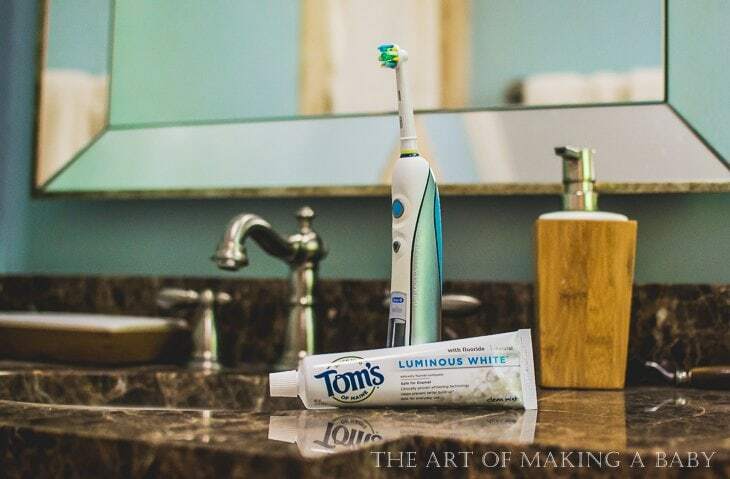 I’ve been using Tom’s of Maine products for a few years now. 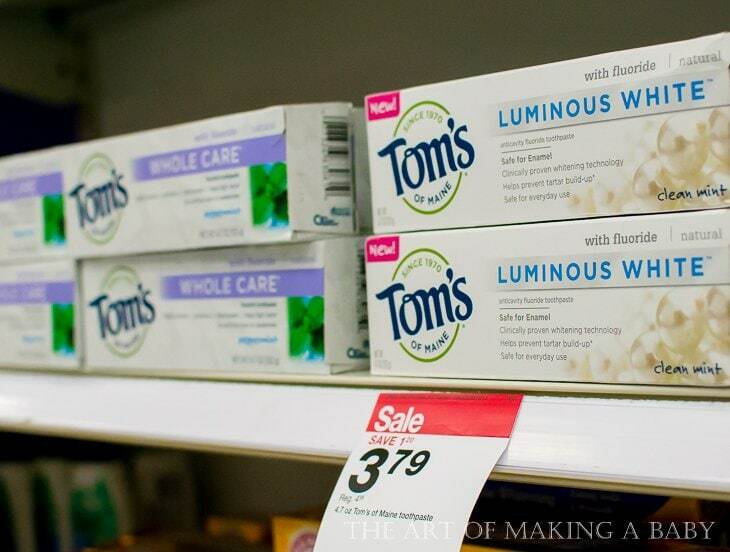 I use their SLS-free fluoridated toothpaste exclusively, I have used Tom’s of Maine Deodorant. They have recently come out with a new Baby Care Line. So it is a company that I have been going to for more natural products for a long time now. 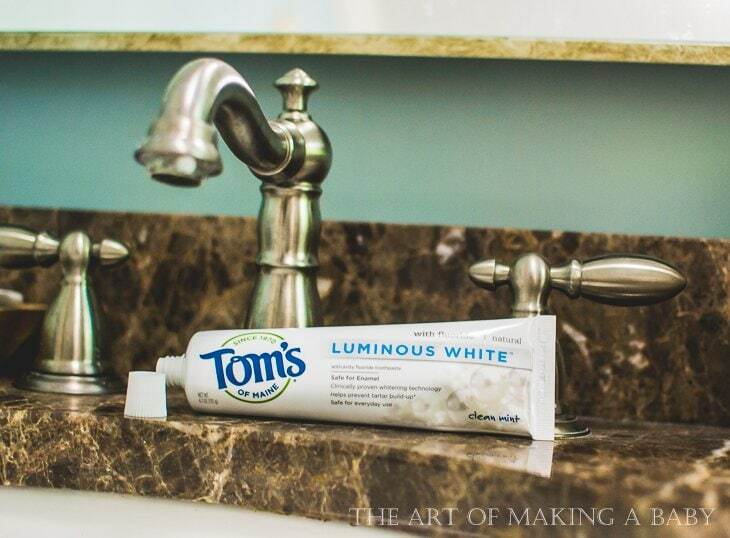 Luminous White: Tom’s of Maine most advanced natural whitening toothpaste that is safe for enamel, and gluten and is paraben free. Note: it has SLS and fluoride. 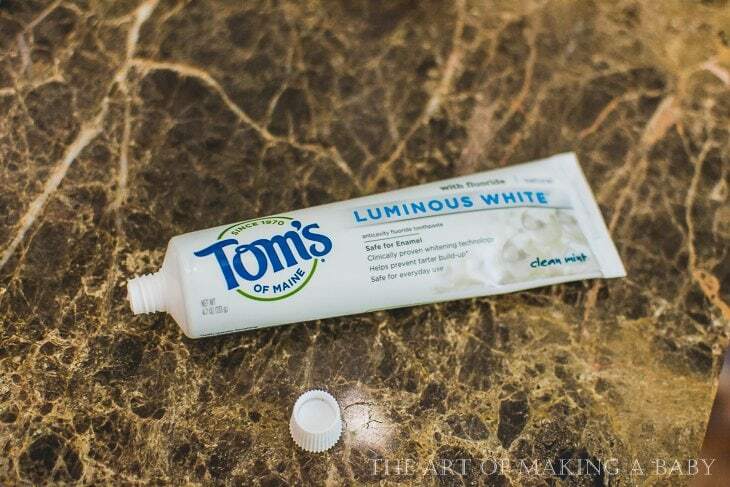 But it’s an excellent choice for those who want whiter teeth while still avoiding most of the chemicals that conventional toothpastes have. Wicked Cool! : Their 1st natural deodorant made just for boys and girls, rather than adults, providing 24-hour odor protection and free of aluminum, parabens, and artificial fragrances. It doesn’t provide wetness protection, but is a great stepping stone for older kids who are active and want to smell good and maybe be a little bit like their parents. North Woods: Their first natural antiperspirant made for men that provides all day odor and wetness protection without petrochemicals, artificial fragrances, or irritation. This anti-antiperspirant does contain aluminum, which is what provides the odor protection, but to be honest I found that for some people, especially those constantly active, this ingredient is the only one that will keep up with the sweating. When I last checked ( April 7th, 2016), the products in the collection were on sale at Target and you can save additional 10% with the cartwheel offer for Made to Matter collection. With the Earth Day coming up, it’s a good way to start thinking about ways everyone can be good to our bodies and our planet. I guess I find that the older I get, the more conscious I become. While before my focus was to take care of what I put in my body, which is a way of also honoring our nature, now I am thinking and paying more attention to what each company does in terms of staying green, eco-friendly and conscious. To me it shows how much a company cares. And if someone cares of the earth, they tend to care about its people.